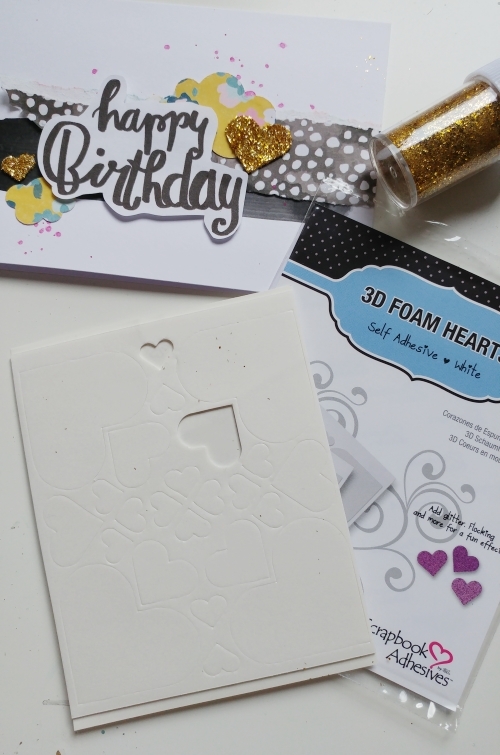 Hey everyone, Jana here with cute birthday cards for you with sparkly 3D Foam Shapes as accents! 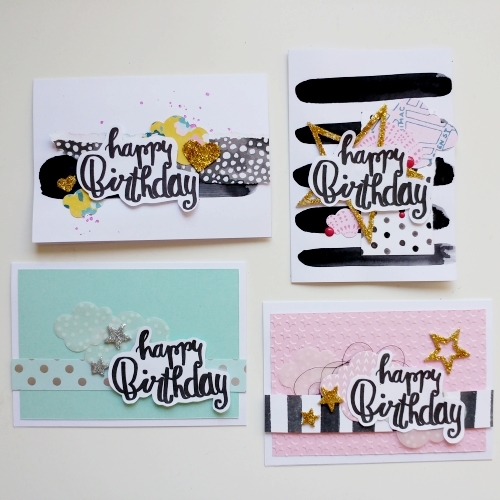 I love to send out handmade birthday wishes to my friends, but I was running out of cards! So better to create some new ones, right?! I had a lot of fun putting them together! 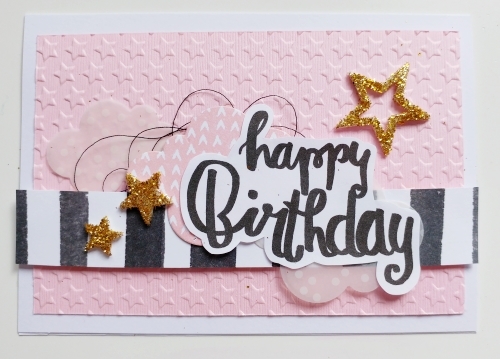 I used the 3D Foam Stars on this one, dipped the stars into gold glitter – really love how this turned out! 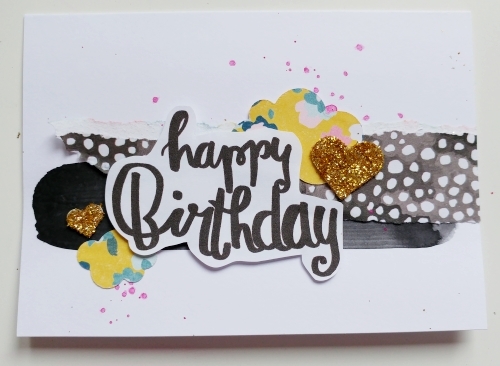 The cards are pretty simple and i used my stash for them but the golden glitter details are perfect. They give them a special touch! 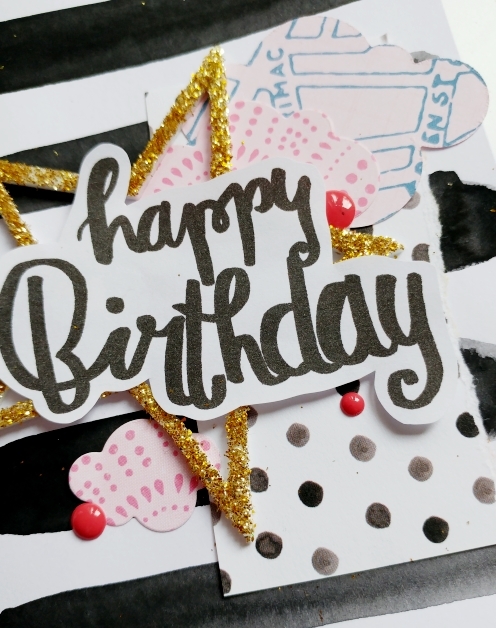 The “happy Birthday” script is from me, i love to practice my brush lettering and this one turned out great! So i scanned it, duplicated them and printed it out! 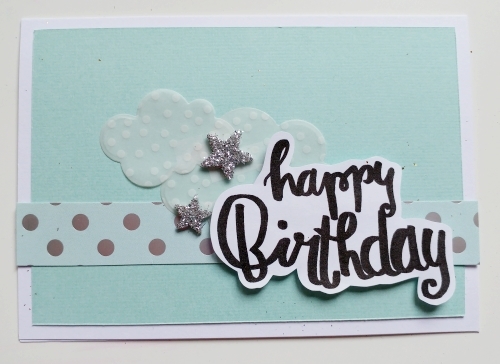 I also used some Crafty Foam Tape White to get more dimension for the clouds/paper strips! The E-Z Runner® Grand Dispenser was my adhesive for everything else. It works awesome on vellum, you can´t really see it! Also used some 3D Foam Hearts and, oh my, I love these little hearts so much! But you know what?! I had glitter all over me and on my desk, even my little puppy was glittering all the day! haha! View my process video to see how it’s done – enjoy it! 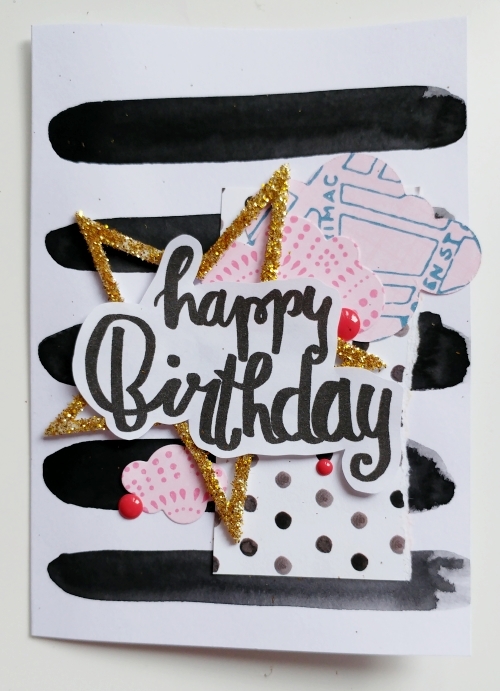 This entry was posted in 3D Foam Shapes, 3D Foam Squares, Adhesives, Cards, Crafty Foam Tape, E-Z Runner® Dispensers, Gifts, Wear your Adhesive on the Outside and tagged 1Canoe2, American Crafts, Bazzill Basics Paper, Brush Lettering, Card, Crate Paper, Echo Park Paper Co., Happy Birthday, Jana Maiwald-McCarthy, Video Tutorial. Bookmark the permalink. 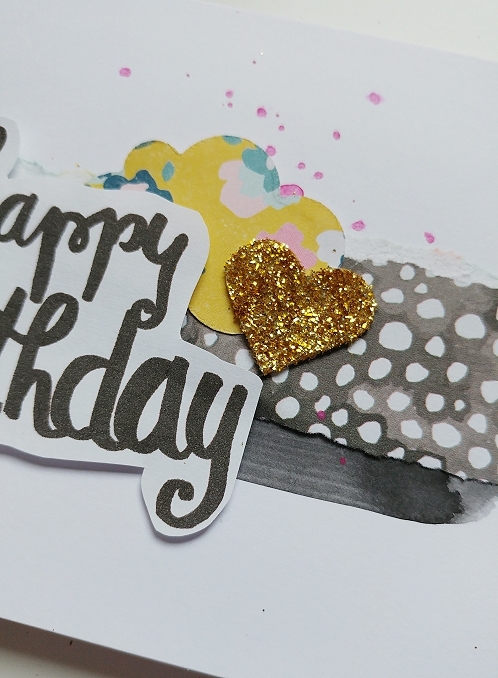 ← A ‘Deer’ Little Gift!